Caring for a Jug is no different than caring for any breed of dog and should be taken extremely seriously if you are at the stage where you are thinking of getting a puppy, a young dog or adopting a dog. Getting and caring for a dog is a big responsibility which is can be a very positive life changing thing but it will have its downsides. This article will help you prepare to care for your Jug and see if getting a Jug (or any dog) is right for you and your lifestyle. This page can also help you if you already have your Jug and you are looking for advice on a particular issue including health problems. If you are responsible or own your Jug already then you are automatically under the Animal Welfare Act which means it is your responsibility to look after your Jug properly both physically and mentally. If you are unable to do so you must make sure the dog is given over to someone who can. This is one of the most important questions you can ask yourself before committing to a Jug – Can I give the Jug a good quality of life? A Jug, like any dog, has needs – such as the need for shelter and a safe environment, regular nutrition, exercise and opportunities to socialise in a safe environment. Before thinking about caring for a Jug make sure that you are absolutely certain you are able to fulfil those needs – you will need to make sacrifices and allowances to look after your dog properly. Jeff drying in a blanket after being caught in the rain. Crate training is something we recommend to help your Jug with its behaviour as well as give it a safe place to hide if it needs some alone time. This is not a method everyone uses and it really depends on your own personal situation but it is something that worked for us. 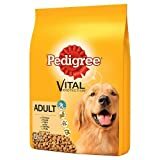 recommend feeding your jug wet and dry dog food – there are plenty of brands out for you to consider however we have used Pedigree Vital Protection and Pedigree’s Wet Food in Jelly and he seems to love it! A constant supply of water is also a must and your dog should always be able to have access to it. Bare that in mind when you’re planning where your dog will spend most of its time. Your Dog’s personality will be able to shine through if you make an effort to understand typical dog behaviour and how to respond appropriately. Learning when your dog is happy, sad, frightened or uncomfortable will make your relationship grow and develop into a wonderful lifelong bond. It’s important to begin training almost immediately will improve your Jug’s quality of life enormously as well as strengthening the bond between the both of you. Knowing how to spot the different emotions your dog can experience and express can make a massive difference! Dogs can experience the same health issues that we can, the big difference however is that a dog expresses discomfort in a completely different way and isn’t able to just tell us what’s up. As the responsible owner of your Jug it’s up to you to be able to spot signs of health issues and to help. Make sure your dog gets regular veterinarian checkups and for you yourself to perform a full body check from head to toenails from time to time. Signing up to a vet as soon as possible is a really good idea, this way you know where to go if you suspect something is up. It’s important to remember that it is extremely rare that a dog will feign injury or pretend it is feeling unwell. If a dog is behaving erratically or very different from usual then chances are there is something up – get your Jug to the vet immediately if this ever happens. When thinking about getting a Jug from a financial point of view the health aspect can sometimes not enter people’s mind. Pet insurance is highly recommended as without it the costs could get into thousands if your Jug should ever need serious medical treatment. Always bare this in mind. Dogs are social animals and crave regular social outings. This is not limited to just other dogs – dogs need to socialise often to make sure they don’t feel lonely or bored. Make sure to consider how your dog can socialise often and not to be left alone for too long as it can lead to frustration, distress and unwanted behaviour. Regular walks to a local park to meet other dogs can help your dog feel safe and familiar around strange people and other canines. When your dog is socialising with new people or animals make sure they are always supervised by an appropriate person this is especially important if children are involved. With all this in mind, ask yourself if you are able to give your Jug a safe environment to live in, good nutrition, be prepared to learn and work on your dog’s behaviour (as well as your own), keep your Jug in good health and give it plenty of opportunities to socialise – if the answer is yes for all then you are ready to care for your Jug!